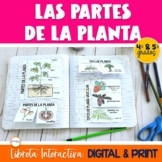 This product contains an English and a Spanish book for Plant Parts. The students will have to fill in the missing information. Print out the book and make copies double sided. Each page makes two books. 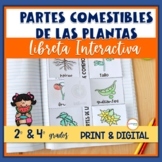 Presented in both Spanish and English, this unit provides six activity pages that name, illustrate, and give information about various parts of a plant, including specific pages on roots, stems, leaves, and flowers. 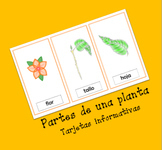 Parts of a plant in Spanish. 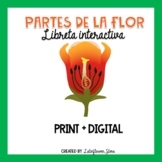 Great for Spanish classes, Dual or Bilingual classes! We are also offering the same product in only English and another product in both languages! Enjoy! A cada alumno se le da una hoja y se dividde en 4. Se escribe la parte de la planta y función. Entretenida forma de pasar esta materia. 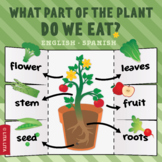 Plants activities.